I am unfamiliar with this organisation, but while at the store on Car Street noticed a startling photograph on the wall – I was to learn that it is of the Linga Bhairavi. Here at Arunachala we have our own synthesis of the male-female principle in the form of Ardhanarishvara so was interested to learn more about the Linga Bhairavi – which is a feminised version of the male aspect of the Divine. “Linga Bhairavi will be a very new form. 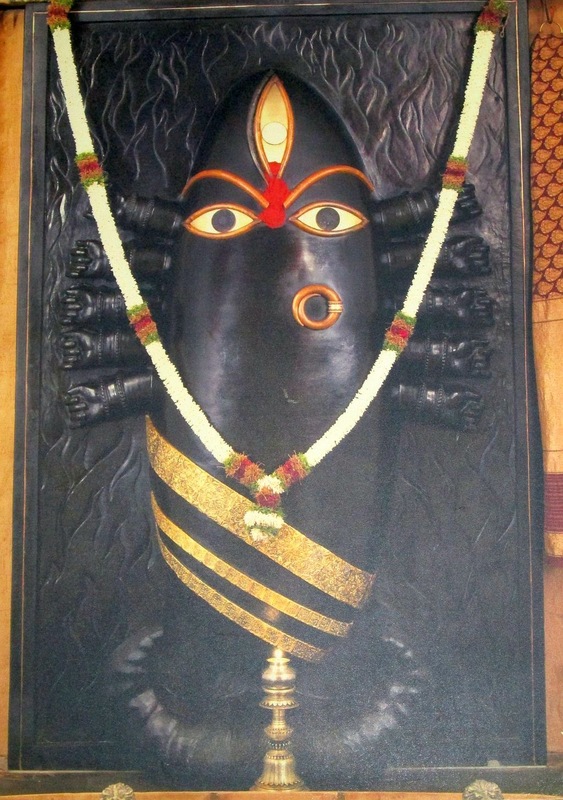 A linga typically represents the masculine, but she is a Linga Bhairavi. Bhairavi means it is feminine. She will be of different nature. She will respond to a particular kind of appeal. If someone knows how to do the necessary appeal, she will respond to them in a big way. So you will have a kind of super technology with which you can get anything you want done - that is the whole idea of Devi worship. There is a huge culture of Devi worship here in India. But not only in India - in Arabia, Europe, and large parts of Africa, everywhere goddess worship was the most prominent thing till the monotheistic religion came up. All the crusades and inquisitions were mainly against people who were goddess worshippers. 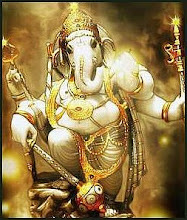 They tried to completely banish the goddess from the planet, but in India she lived and she continues to live. Everywhere else, wherever the monostheistic religions dominated, they completely erased the worship of the feminine. One crucial point they held against these Devi or goddess worship groups was, they said they were doing devil's work because they were doing things that other people could not grasp or understand. They could do things that others would not have means to do - that means they were into occult practices. Because they could perform occult practices, they were branded has devil worshippers and put to death, or their places of worship were burnt. Systematically, over centuries, goddess worship was completely erased. Here in India, it is still a very strong culture, but today, even here it has become like this that people conduct Devi worship in a clandestine way. People have become educated - anything that does not appeal to their reason, they want to destroy. Because of this, most of the Devi temples conduct the core of their worship in a very clandestine way, not known to the outside world. Not everybody, just a small group of people is involved in this, because unfortunately, society has become very male dominated . . . When I say male dominated, I do not mean man is dominating. I mean the male mind is dominating . . . .
. . . So we want to create Linga Bhairavi as a space which will be open for the occult. We will open up that possibility. This may cause a certain amount of misunderstanding and disturbance in people around right now, but that does not matter. I have gotten used to living with misunderstanding, and misunderstanding will always be there. These are sciences; these are things that very few people in the world can do. So, we will establish this space when I am still around. These are things which will live for a very longtime, and these are things which people will cherish. This is not only for the occult. 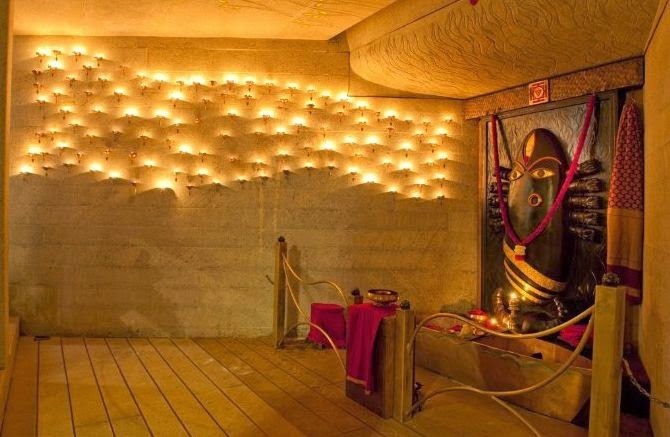 For people who are only seeking physical health and material wellbeing, Linga Bhairavi could be far more responsive. . . . So, if you want health, wellbeing, prosperity - these kinds of things are very strong in the Linga Bhairavi energy. People who imbibe it can benefit from it that way. And she has a spiritual possibility also. Especially for those who are emotionally bound, the devotee kind of people, Linga Bhairavi will become a stronger attachment . . . So Linga Bhairavi can become a powerful force.
. . . One example that is fairly well-known is Ramakrishna Paramahansa. Ramakrishna used to call Kali and she would come. He would actually feed her and she would eat. The plate would become empty. It was the real form, because these forms were created long ago. These are not just dolls that are created for the psychological wellbeing of a person. These are energy forms, which have been created and let loose. If you know how to bring them down, you can bring them down right here, like a live thing. On wall behind the cash register in the Kumar Supermarket on Car Street there is a photographs of the Linga Bhairavi. The owner of the store is a devotee of Sadhuguru Jaggi Vasudev and they usually also have his photograph somewhere near the cash register near the door.